For over years Carolyn Bennett-Sullivan has studied personal development, human behavior and spirituality. Through formal and practical experience she’s discovered the freedom and peace of mind that occurs when living authentically and aligned with your hearts wisdom and guidance. She is the author of “Get the “F” Out! Liberating Fear and Letting Love In” book and workbook, a certified Passion Test facilitator, Speaker and Transition Strategist. Gordon marries his 25+ years of sales/marketing and 17 years of filmmaking to bring a unique perspective to customer’s promotional videos. He welcomes all levels and types of industry for high-level collaborations. He is constantly looking from the client’s client perspective for the most impact in a film or video. He specializes in story telling for small businesses. Dana Dobson is the founder and CEO of Dana Dobson Public Relations, a Wilmington-based boutique PR firm that helps businesses stand out with smart, creative publicity strategies and the writing of compelling, persuasive content such as press releases, press kits, blogs, white papers, LinkedIn profiles, case studies, book ghostwriting and more. She is the creator of the PR Breakthrough™ Publicity workshop series which gives business owners the tools and knowledge they need to launch effective publicity programs at various and affordable levels of support. Learn more about Dana Dobson Public Relations. 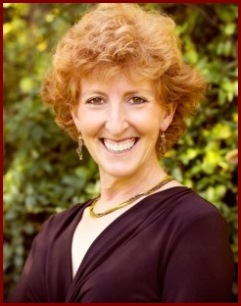 Lois Hoffman is a writer, speaker, workshop facilitator, and coach for new and experienced writers. Write a Book Grow Your Business: Build credibility, establish expertise, and develop trust with your ideal client is her third book. Her first book on writing and publishing is The Self-Publishing Roadmap: A step-by-step guide to publishing the book of your dreams. Combining her life-long passion for teaching with her expertise in self-publishing, Lois founded The Happy Self-Publisher to encourage writers to become authors and aspiring writers to put their thoughts on the page. She teaches writers to overcome writing, publishing, and book marketing obstacles through workshops and on her blog at www.happyselfpublisher.com. She is also the author of The Almost Perfect Birthday Party: A sanity-preserving guide to planning a party your child will love. As a professional juggler and entertainer, she performs with her husband, Michael, as The Juggling Hoffmans. They share the gift of laughter at corporate, private, and community events. Her experience as an event planner and participant in 20+ years of birthday parties led Lois to write about successfully, although perhaps not perfectly, planning a birthday party for children. She has also been published in Highlights for Children. Lois lives with her family in Newark, Delaware where she juggles her creative pursuits with enthusiasm and joy. 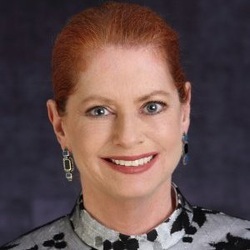 Peggy Smith is the founder of Smith and Associates, a consulting and training organization dedicated to helping people and organizations communicate more effectively. She coaches individuals, plus designs and facilitates group seminars on topics such as Written and Oral Communication, Managing Change, Critical Communication, Train the Trainer, Co Active Coaching and Supervisory Skills. Peggy’s clients include the University of Delaware, Saint Joseph’s University, City and State of Wilmington, and multiple businesses in the tri state area. 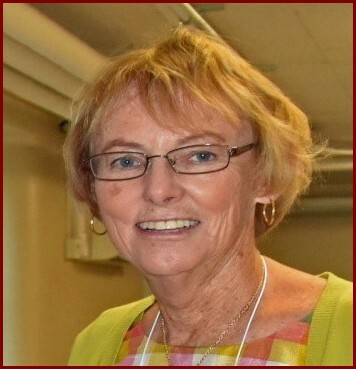 Peggy is the Principal Trainer for $tand by Me Financial Empowerment Program for the State of Delaware. 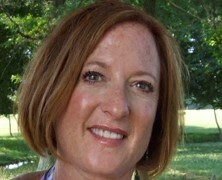 She also teaches Critical Reading and Writing at Delaware Technical Community College. Chantal Towles is President of Creative Business Assistants, a provider of dynamic, customer-focused, small business incorporation services, as well as compliance, virtual business and legal assistant services. For 24 years as an incorporation specialist Chantal has assisted entrepreneurs navigate through business ownership and guided them through the incorporation process. She is passionate about helping entrepreneurs realize their dream of business ownership. In addition, she works closely with both corporate and personal injury attorneys as an extension to their law firms by providing both outsourced incorporation services and virtual legal assistant services. Chantal earned her Bachelor of Arts Degree in Journalism from Delaware State University and a Masters of Business Administration from Wilmington University.